Microsoft is committed to making the Windows developer experience better than ever, which is why they're bringing the popular Bash shell, alongside the entire Linux command environment, to Windows 10 in the upcoming Anniversary Update. Developers have been able to use Linux command shells like Bash for years through third-party tools, but this is the first time that Microsoft has actually implemented the functionality directly into Windows. The company partnered with Canonical, known for the Linux distribution Ubuntu, to ensure the Bash experience is just as good in Windows as it is in variants of Linux. During Microsoft's Build 2016 keynote, it was revealed that developers will be able to download the Linux command line from the Windows Store when the Anniversary Update becomes available. Microsoft's Kevin Gallo stated during the event that "this is not a VM" or "cross-compiled tools" but a fully-fledged Linux shell running in Windows. Ars Technica believes that the way Microsoft has implemented this functionality could allow developers to natively run Linux programs on Windows without any major modifications. This, along with tools like the Bash shell, could really entice developers more comfortable with a Linux environment to develop on Windows 10. 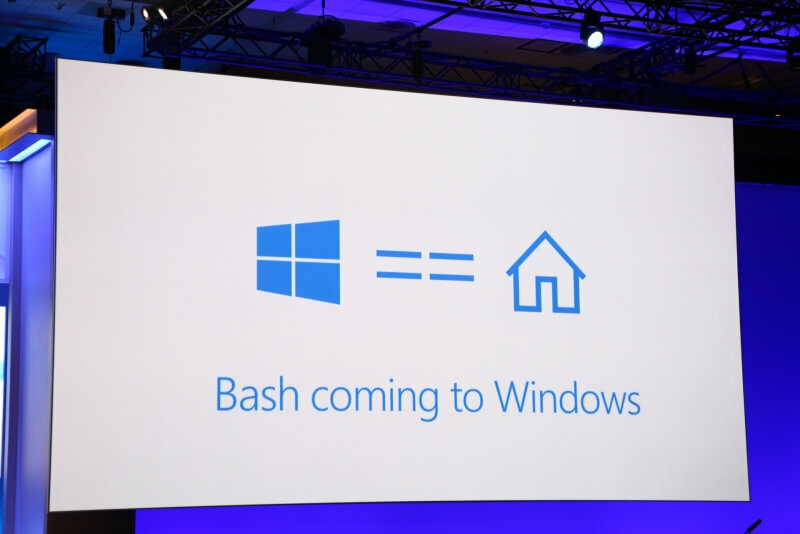 When Microsoft announced that the Bash shell would be coming to Windows, the news received a huge round of applause from the Build 2016 crowd. Microsoft are definitely listening to what developers want, and this is a great step towards making Windows a more friendly development environment.